My three small children and I were so abundantly blessed by the generous help and support showered on us through the local Head Start program. I just figured staying locked away in my apartment with my three kids would be easier than facing my fears. But, I also knew that I had to get out of the house to do the shopping, purchase baby items, go to the bank (something I dreaded every time). I did not like all of the personal questions from bank tellers, I always felt so silly putting such small amounts of money into my account. Feeling like I was being questioned, scrutinized, watched, interrogated by the amount of information that was asked of me. I did not realize, at the time, these were all feelings of paranoia from the years of being controlled and manipulated by another human being. I had such a hard time just making every day decisions. I felt such a gaping loss in my soul, a dreadful desire to just give up many times, and at the same time, this drive to survive for the sake of my three dependent children. Reminding myself often that I had already achieved the greatest feat of my life, escaping ten years of a life of agony, abuse, fear, and violence, in a foreign country; and taking a gigantic leap of faith into a new life, starting over with nothing but my children, a suitcase with a few possessions, no money, but at last back in my hometown to stay this time. Slow the mind, slow the body. Savasana. I had few expectations for each day. Simply to survive without the mental, physical, emotional, social, financial, and sexual abuse any longer. To have at long last severed my children from the grasp of evil that was destroying me and soon them. Freeing their impressionable minds from the scars that abuse causes, to be their strength, protection, support, shoulder to cry on, provider, body guard, the one they can always trust with their little life to always be there for them, giving them my whole heart, and guarding their life from the evil in the home we once knew. A home in another country for so many years, isolated often, feeling afraid daily, scared to wake up and start a new day, so filled with depression at the very thought of getting up out of bed knowing that disaster was a permanent strike. Often feeling like a prisoner in my own home because of the paranoia of the man I once was married to. Open up your soul to what is true, pure, and good! Post Traumatic Stress Disorder (PTSD): is a mental condition that results in a series of emotional and physical reactions in individuals who have either witnessed or experienced a traumatic event. In my case, for 10 years, not only had I witnessed numerous traumatic events inflicted on others by the man I was married to, but I also experienced traumatic events first hand by him, as well as witness of trauma inflicted on my toddler, baby and my current pregnant state at the time. Examples of events that cause PTSD may include: car collision, physical or sexual assault, long term abuse, torture, a natural disaster, living in a war zone, or life-altering experiences like the death of a loved one. Physical Pain – headaches or migraines, dizziness, fatigue, chest pain, breathing difficulties, and stomach and digestive issues. Nightmares or Flashbacks – symptom known as re-experiencing – in which the individual suddenly and vividly re-lives the traumatic event in a repetitive manner. May cause physical and emotional pain, fear, inability to sleep, anxiety leaving the safety of home. Depression or Anxiety – Mental phobias, irrational and persistent fear and avoidance of certain objects or situations can cause extreme anxiety to the point of causing paranoia and depression. Withdrawal – Sudden loss of interest in favorite hobbies, activities, and friends that they used to be very passionate about. Some may seek out escapism through drugs, alcohol abuse, or thrill seeking. Avoidance – of any physical or mental stimuli that reminds them of a past traumatic event. Avoidance of places or people that are reminiscent of the traumatic experience. Repression – the intentional blockage of memories associated with a past event or experience. The individual may destroy pictures or memorabilia of a time in their life or attempt to distract themselves by throwing themselves into work. Emotional Numbing – Numbing feelings. After all, it’s hard to suffer pain when you don’t feel any emotion at all. Emotional numbing often leads to the gradual withdrawal and eventually the complete isolation from social circles. Hyper-arousal – Suffering from jitters so sever that it becomes impossible to relax due to the fear of threats, on edge, jumpy, easily frightened, difficulty speaking, jaw locks up. Irritability – This state of constant fear and paranoia can cause extreme PTSD- associated irritability, indecisiveness, and a total lack of concentration, sleeplessness, and difficulty maintaining personal relationships. Guilt and Shame – Individuals who can’t get past their negative experience may find it difficult to move forward and maintain a healthy life. They may blame themselves and constantly relive the event(s), wondering how they could have prevented it. Often immense shame and guilt will set in if they blame themselves for the tragedy. I share with you the detailed list because I am absolutely passionate about changing my own life. I have suffered from PTSD for nearly 15 years, I suffered from every symptom on the list above on a regular basis except for always staying clear of drugs and alcohol. I share with you the list and description of PTSD symptoms to help you understand those you may know who suffer from it, and also to be more supportive of them. I share with you details of my life journey, so that you can see that if you do suffer from PTSD, it does not need to control the rest of your life. I share with you that their is a path of healing if you choose to overcome, through many different avenues, as I have been describing in my blog posts. I share with you so that you can truly see what a miracle it is that I am now re-married to an incredible man and successful once again. I share with you so that you can have a glimpse into the heart of the man who has chosen to love me, to walk with me and support me on this healing journey, to hold me when I am afraid, to protect me, to give me daily pep-talks, to never tire of my suffering and only strengthen me with his unconditional love for me. A man who saw the beautiful hummingbird that was locked in a cage just waiting, longing to be set free! I share with you because you are still breathing, still very much alive, and have so much potential for your own life whether you suffer from PTSD or not. My husband, the man who has helped to set me free from the cage of PTSD! I share with you so that you can see how incredible the women from the Driggs, Head Start program are! Women who care about situations like mine! A team of women out to be strong for those who have suffered as I have, or for those who are possibly in a healthy relationship, but hard pressed for finances. They are there for single parents who have lost a spouse, there to help families get back up on their feet again! There to help you every step of the way to succeed! There I was, locking myself away in my apartment, a victim to PTSD, having just moved in after my escape from Australia. I was peering out the window, at two women who were walking around outside together with a large stack of flyers in hand that they were hanging on doors. I stayed hidden behind the shades, just wondering what they were up to. Sure enough, they came to my door. Lucky for me they did not knock, I would have jumped in fright. Once they were completely out of site, I opened the door just a crack, to see what it was that they had left. It was a flyer about Head Start. I read through the flyer and thought, maybe, just maybe, I would venture out and meet the staff of the local Head Start. I drove over a few days later, knocked on the door, and who should welcome me in but, Brenda Sewell, my former Middle School Health teacher. I loved this woman, she was a key ingredient to the success of her surroundings wherever she worked, her spirit and drive through the battle of cancer was known to all, and the love she poured out to everyone was obvious, even though she herself was suffering internally from the cancer that eventually took her life. Well, just the sight of her, and finding out that she was the cook at the school was all it took for me to know I was in the right place. And then, Lisa Summerlin, came to greet me at the door. A woman I have come to know so well, one of the most loving, gentle, tender-hearted, caring, compassionate, reliable, thoughtful, considerate, kind, patient and passionate woman I have ever known. Lisa has worked at the Driggs, Head Start, for 7.5 years now. Next, the lovely Christine and sweet Teacher Wendy, both women of grace, a nurturing spirit, flooded with kindness, and outpouring of love for all who walk into the door of the Head Start. My heart was feeling hopeful as these women encouraged me to fill out an application. I was due to have my third child, and had a one and three year old. I was so glad to know that my 3 year old would be old enough to start Head Start in the fall if we were accepted. I filled out all of the forms meticulously and hoped for the best. I received a letter in the mail a few months later and we were approved!! Head Start was the best place for my small family to “belong”. As a single mom, suffering from PTSD, chronic anxiety, and depression, the ladies who ran the program became my mental salvation and helped me on my road to recovery in so many ways. I began to realize I could trust these women, trust that they were making every possible effort to set my family up for success. I suffered from severe anxiety and always had to have my mom, dad, brother, or sister come with me for moral support once per month at the evening Parent Meetings. Over time, I bagan to feel as though Head Start was an extended family, and I became more involved throughout each of the 5 school years that we attended. Lisa came to my house regularly as the Family Advocate, and helped keep me informed each visit of all the possibilities and options made available to all who attend the program. She helped me set goals and see them through. We laughed, we cried, we shared cups of tea and at times she helped me when I was in the middle of a cake order (see my post, Survival by Cake). I talked to Lisa about my hopes, dreams, fears, anxieties. She was patient and always kind, loving on my kids and on me. Her capacity to understand my issues associated with PTSD were paramount to my path of recovery. Head Start is not only there for the children but even more so for the entire family, to assist families to get back up on their feet again. The staff has changed since I was involved, but the amazing Lisa is still there. Pouring her heart out on a regular basis to all who enter the facility. I am so grateful to call Lisa a dear friend to this day. And the most amazing part is, Lisa used to work in a day care facility where my new husband used to take his girls, now teens, when they were pre-school age. So, when I told Lisa that Fred and I were dating, she was thrilled! More on Fred and me in my post “Dreams of Fairy Tale Endings Do Come True”. The Head Start program made connections for me with community resources that I did not even know were available. The WIC program, ECAP energy assistance, the incredible Gogie Reynolds with Subs for Santa, the Food Bank, Mental Health Consultant, Idaho Housing and Finance, Family Counselor (see my post, Finding the Counselor for You). The program is funded through a government grant and is free to families. Class time is Monday-Thursday from 8:30-12:30, during the school year. If you would like to know how you can get involved in the Driggs Head Start, please check out the Head Start web site: http://www.eicap.org. Or contact the local office at: 208-354-8233. If you would like to donate time or money, they are always happy to have volunteers in the classroom or kitchen. I volunteered my time in the past teaching yoga to the students. Firemen, story tellers, musicians, and many others have volunteered time to teach these young children new and exciting skills. You can make a donation to the Head Start during the Annual Tin Cup Challenge held in the fall, sponsored by our local Community Foundation. Or, if you are looking for a great place to work, and want to make a difference in the lives of young children and their families, don’t hesitate to apply. 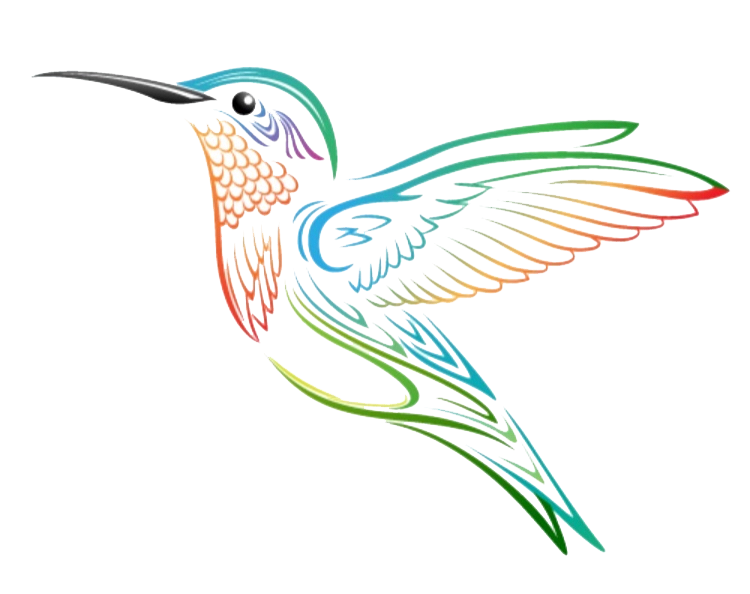 Thank you for taking the time to read more about my Hummingbird Journey. Our lives are each so uniquely beautiful.